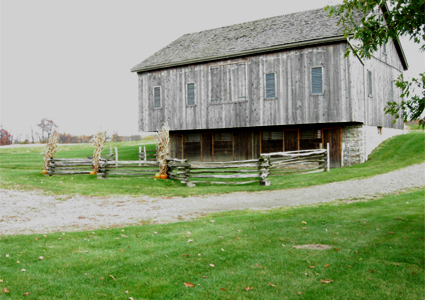 The Pennsylvania-style Pioneer Barn houses a restored Conestoga Wagon and related artifacts. 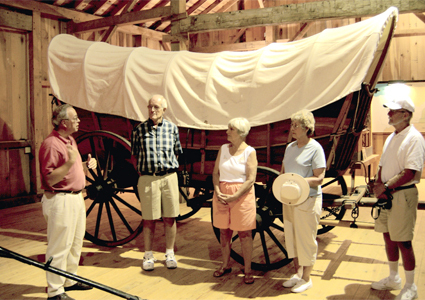 This Conestoga Wagon brought early pioneer settlers to Holmes County and also helped others ready to move on west to new territories. 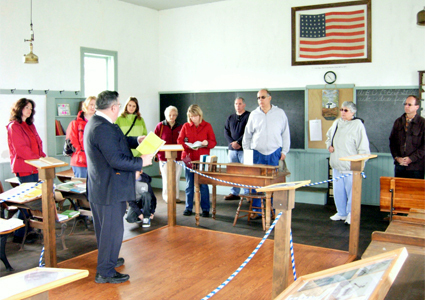 Visitors learn how Amish schools developed out of the closing of public one-room schools. South Bunker Hill School dates from 1857, and served this community until 1951. 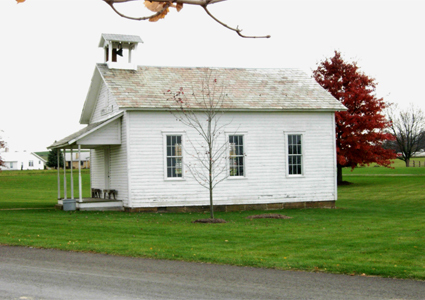 Amish education modeled itself on the successes of the country one-room school system. 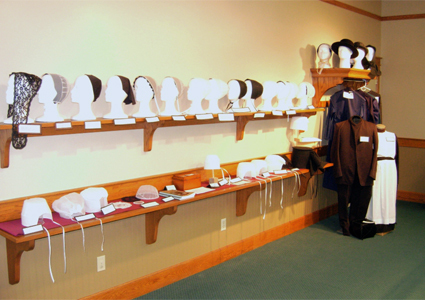 Guests discover the patterns of cultural heritage in this display of the variety of devotional coverings worn by Amish and Mennonites of the area. 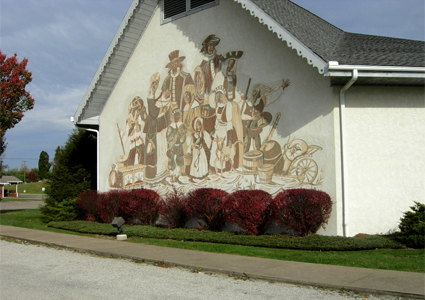 The sgraffito by artist Heinz Gaugel, using a unique reverse art technique, presents Immigrants’Arrival in the New World.